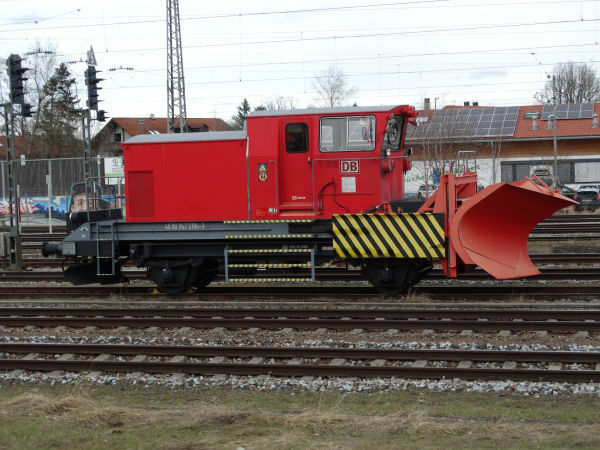 The class 947 rotary snow blower of DB Netze is not exactly a locomotive in itself, but it is usually pushed by a class Br218 diesel or similar. 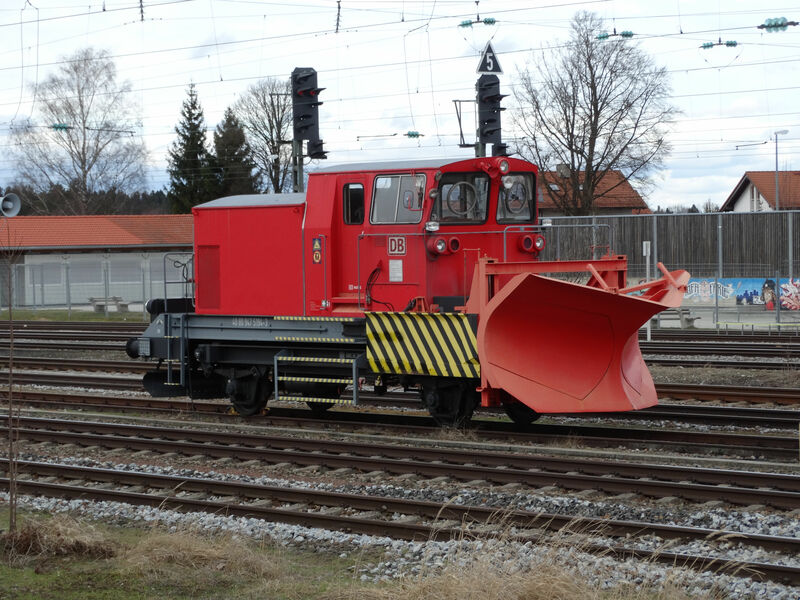 In this case the machine was not fitted with the rotary blower part as usual, but with a large snow plough. They can however be easily switched. Picture from Holzkirchen station 13.3.2018 by Ilkka Siissalo. Another view of the same snow machine. 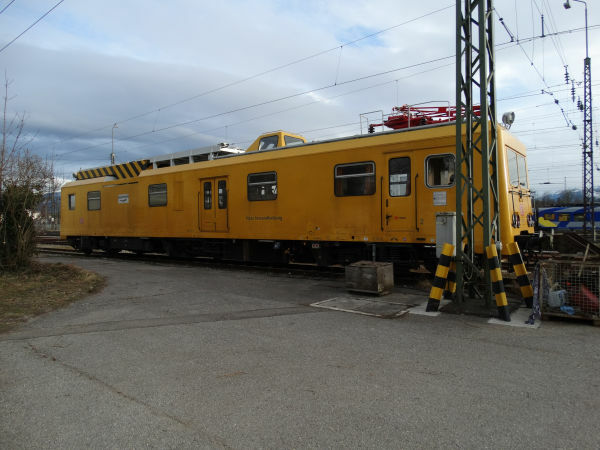 A class Br708 catenary wire inspection and repair wagon. Picture from Rosenheim station 13.3.2018 by Ilkka Siissalo. Another view of the same Br708 catenary wire servicing wagon. Another Br708 at the Augsburg Hauptbahnhof. Picture 11.10.2015 by Ilkka Siissalo. 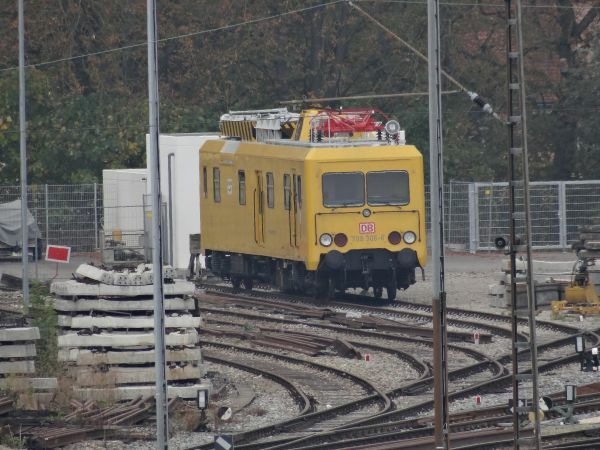 This rail truck SKL 51-02 was already 50 years old at the time as this picture was taken in 2018. 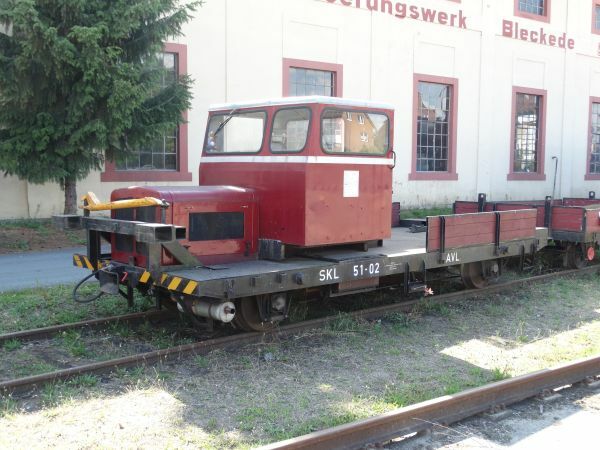 It is a so called Schwerkleinwagen (heavy small wagon) registered to Bleckeder Kleinbahn. Its top speed is 50 km/h and it is allowed to tow a load of max. 25 tons. Picture from Bleckede 17.7.2018 by Ilkka Siissalo. 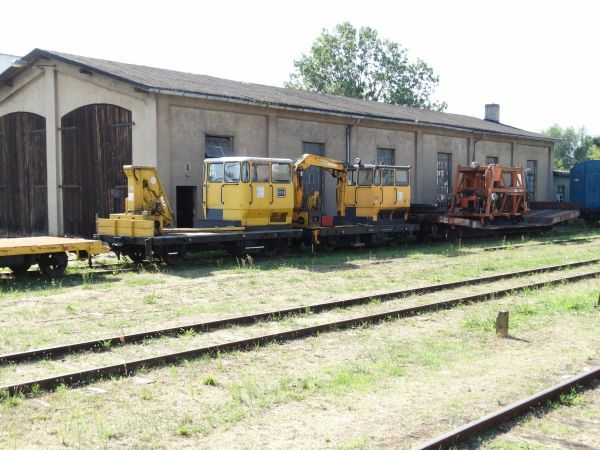 These two old rail trucks also belong to the family of so called Schwerkleinwagens. The one on the left is a KLV 53, also known as SKL 53, which is probably the most common rail truck type in Germany. 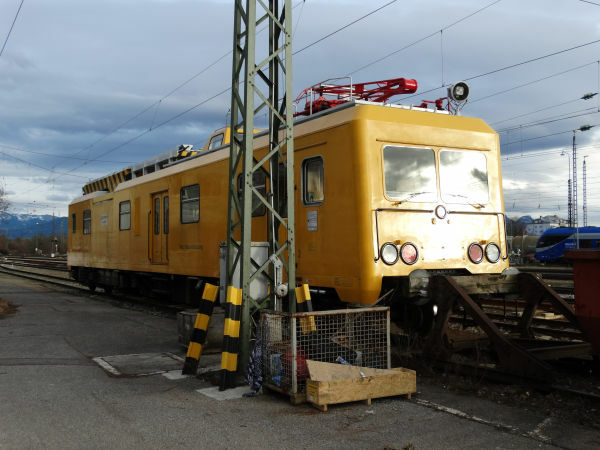 It is registered to the company Rhein-Sieg-Eisenbahn GmbH and it is used by the hobby club EFG, Eisenbahnfreunde Grenzland (friends of railways of the border country, meaning the former West German - East German border.) Its top speed is 70 km/h and it dates back to 1980. The one on the right is apparently a KLV 51, a bit older and weaker version.